Happy New Year! It is 2012, the year of the Dragon, according to the Chinese zodiac. The Dragon is a symbol of strength and good luck so I am expecting this year to bring great things for each and everyone of us and for humanity as a whole. 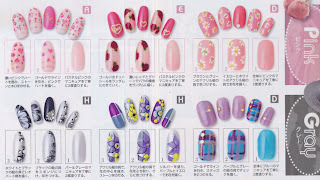 For the first post of the year and of this month I will continue with the monthly nail inspiration posts. For January, inspiration comes from the January edition of Nail Up!, which is my favourite nail magazine. Here are some nail art ideas based on the colours that are in for the season. 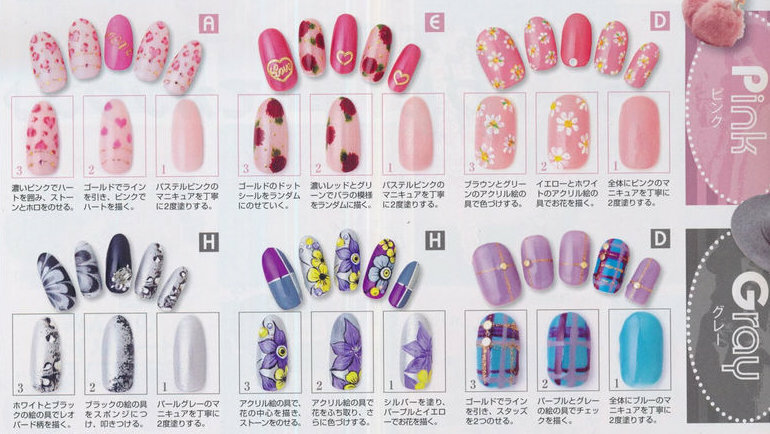 So what do you think of this month's nail inspiration? Do you like these designs? Do you agree with the colours? Personally I fail to see mustard as a trendy colour, I would much more prefer a forest green one instead. 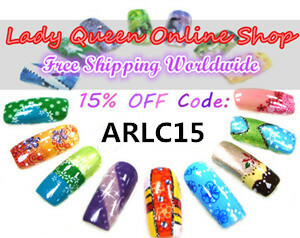 Those are great nail art ideas! Happy new year!! Hope the dragon year brings you luck! I love the designs. And dragons. And I kinda like the mustard trend, as long as it's glittery mustard aka gold! Happy New Year! Wish you and your loved ones have a great 2012 in good health and lots of love! The designs are stunning, thanks for sharing! cute nails! i love them!! Stopping by to check out your adds and sponsors. <3 Every-time I comment <3 Have a beautiful day! Hi,I come here to wish you a great day! Hey! nice Nail designs and i hope this Dragon year bring happiness to all of us. Let's hope this year will be one of the best.